There are multiple categories of sleep disorders. The most common current sleep problem in our culture is sleep deprivation or too little sleep. Another category is from sleep at the wrong time and loss or misalignment of the circadian rhythm. The third category is when someone cant sleep, this is known as Insomnia. 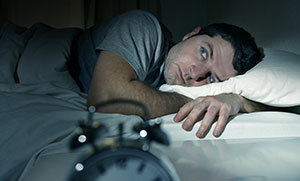 Insomnia will be covered as a whole topic as it is a very common occurrence and needs special focus. The last category is true sleep disorders, only the 8 most common will be covered here. If more questions arise then medical consultation may be necessary although links to multiple authorities will be provided as a resource (*). Please take the sleep disorder screening test to help point yourself in the right direction and seek further education.